Reluctant to leave our lunch table after a fabulous lunch with a magnificent view. 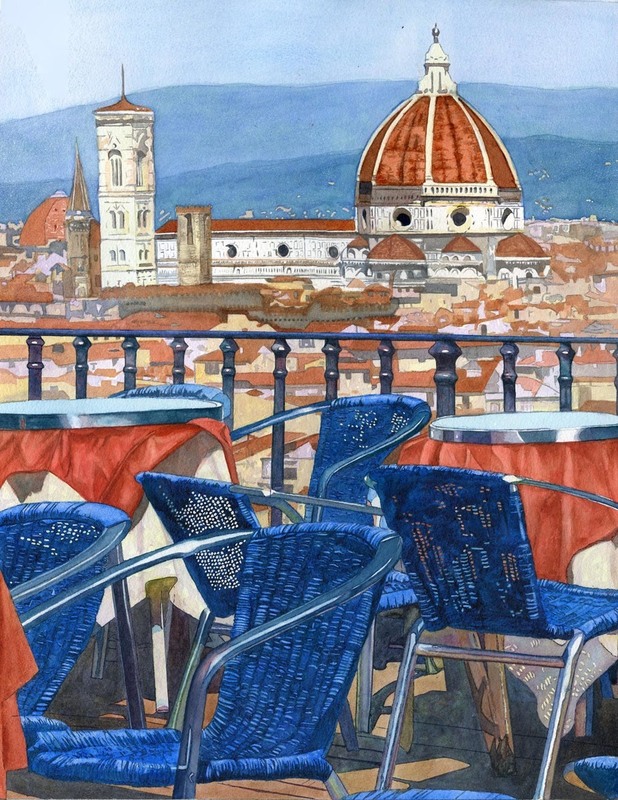 Atop the Piazzale Michelangelo one can get the best view of Florence. Rendered in Complementary colors, Orange and Blue, Brunelleschi's dome is the focal point, reaching high in its majesty. The foreground has much detail, whereas the mid-ground is subdued to emphasize and give focus to the dome set against the distant hills in blue.